"As many people that ask this and the answer is not in the FAQ as of yet. This procedure is for 87 ONLY...86 and earlier are wired differently. Remove the ECU from your 87. Have the 88-89 In hand with the 87. Go to a place where ou think there is not much static electricity around beause a static spark has the ability to destroy the ECU's. 1. Remove the covers on both ECU's, this is four screws on each one. One in the middle and two on bottom. Remove the board. will work. This should remove the 88-89 ECU from the 88-89 ECU CASE. the screw holes on the side are different. 6. Replace the ECU back in your car plug it in and your ready to ride. INFO: The cases ARE different between the 87 and the 88-89 ECU. The screw holes are different. This way you don't have to move anything and it is a straight swap over. This took me 15 minutes or less to do including the removal and installation of the ECU fromthe car. 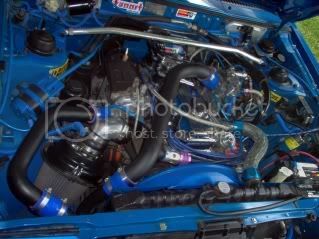 125psi F.Pump, Type-H BOV /H-Pipes, 9" Rears, ST's, KYB's. I know the ECI is located on the inside passenger side but where is the actual ECU located? It's a metal book shaped box to the right of the passenger foot compartment mounted on the side. Â It's behind a plastic wall cover that easily comes off with one or two screws. I've done this swap. It's real quick and easy, just don't touch any of the circuitry as static may short out the internals. ANOTHER HINT....you may want to check that pin #4 is indeed getting a proper ground before finishing the re-install. Unless that is getting a strong ground, you may want to bridge a chassis ground of of it. (This is also the ground you'd use to wire an A/F ratio gauge. 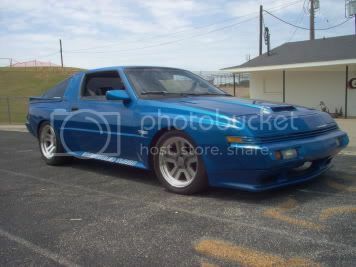 what would an 88-89 ecu upgrade do to my 85 starquest ? Interests:Knowledge is the fuel of humanity. Well, to start with, I'll give some background. After 85, the cars have unique wiring and sensing systems. The 87 widebody cars, which are mostly like the 88-89's with a few exceptions, namely the actual ecu box. The 86 cars simply aren't hooked up the same, and to my scattered knowledge 85 -like your car- down to maybe even the 83's are all wired about the same. 82 1/2 has even different wiring! It's kinda weird and I'm still learning about my 87, but you catch the drift. These cars arent camaros, they changed a lot year to year, and with little changes come different wiring schemes. Perhaps an 86 flatbody computer would do you some good? Don't take that from me though, ask a flatbody owner. Point is, if you try putting an 87 or later computer in an 85 down car it will chug up to about 400 rpm and fire a few times, then collapse. I tried it when I had some problems with one a few years ago... it made things worse. I just bought an 87 with an 89 ECU already in it. What exactly does the 89 ECU buy for you? Just the boost increase? Or are the maps different? Hey, i have a 84 and i was wondering if anyone has done the swap to a 88-89 ecu and if they knew the wireing diagram for this year and what needs to be changed. 88-later ECUs can tolerate higher boost levels before they go into fuel cut. The 87 ECUs generally will cut off at some moderate level of boost (it varies from 9 psi to 13 or so); the 88-later ones take more than that. Swapping ECUs does NOT raise the boost on your car though - that's entirely the job of the wastegate actuator and/or a manual boost controller attached to the wastegate actuator. But, to use big boost, you need an ECU that can keep up with it... the 88-later ones.